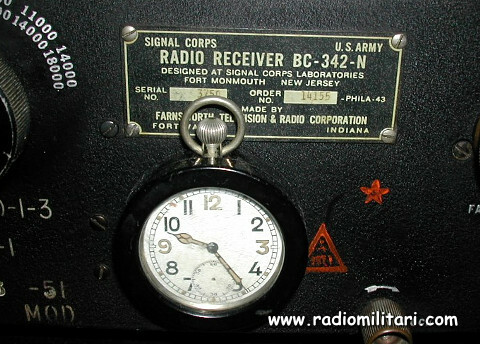 The radio receiver BC-342 are the superheterodyne type intended for general field usage. They are built ruggedly and are suitable for vehicular, portable, or fixed operation. The receiver are highly sensitive and selective and are designed for the reception of either continuous-wave (c-w) or amplitude-modulated (a-m) voice or tone signals. 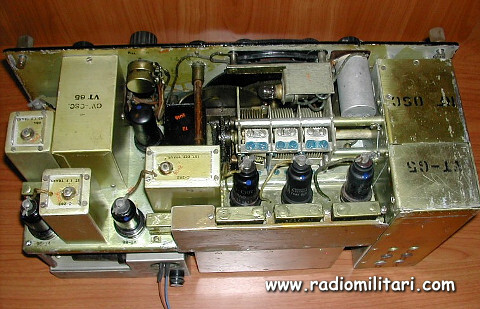 They may be divided into two main groups; the first group consisting of the receivers covering a frequency range from 1,500 to 18,000 kilocycle (kc) is six bands, and the second group consisting of the receivers covering a frequency range from 150 to 1,500 kc in four band. 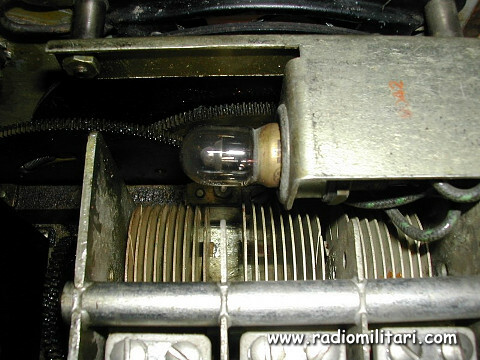 Within each group are models for operation from either storage batteries or alternating current (a-c) power source. 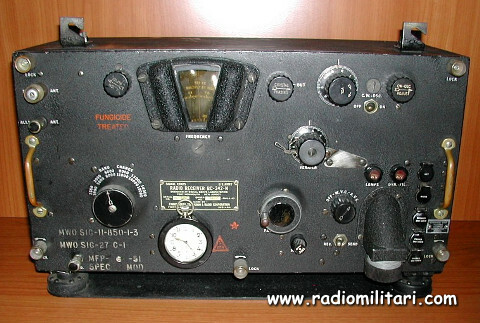 All receiver models are identical in size, in general external and internal construction and appearance, and in the fundamental arrangement of their electrical circuits. Dimensions: 10 Height x 9 1/16 Depth x 18 1/16 inc.